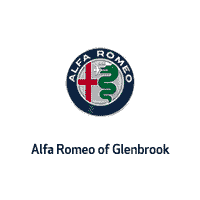 Alfa Romeo of Glenbrook, is your premier destination for new and pre-owned Alfa Romeo vehicles in the Fort Wayne, IN, area. We understand that finding the right luxury car can be challenging and intimidating. We are here to ensure that neither of those are the case! Start off your search by browsing our new car inventory. We carry the latest models, including the 2018 Alfa Romeo Stelvio. If you are in the market for a pre-owned vehicle, don’t worry we have you covered. If you’re looking to find a great deal, be sure to check out our pre-owned car specials! Once you’ve narrowed down your search and have one you are thinking about purchasing, head over to our new car finance center to better prepare for the buying process. There you’ll be able to fill out a finance application to speed up the process. You can also find out information on what your current car is worth by using our trade-in value estimator. Our commitment to you and your new car doesn’t stop once you’ve driven off the lot. Our auto service center is here for any problem that may arise. You can also order car parts from our website or schedule a service. We’d love to have you come check out our showroom in person, so feel free to stop by your local luxury car dealership today! If you can’t make it right away, but still have a question, feel free to contact Alfa Romeo of Glenbrook online!